Complete sketching set for new and experienced artists. 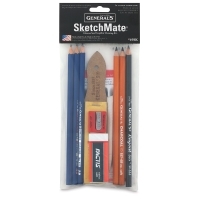 Contains Extra Smooth Graphite Drawing Pencils, Layout Pencil, Charcoal pencils, sandpaddle sharpener, white eraser, blending tortillon, and sharpener. 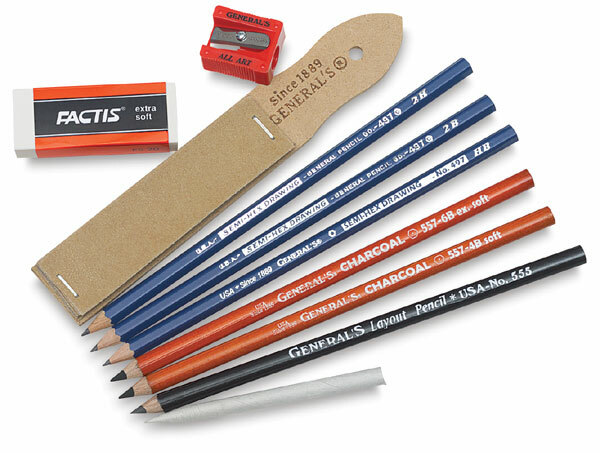 ® General's is a registered trademark of the General Pencil Company.